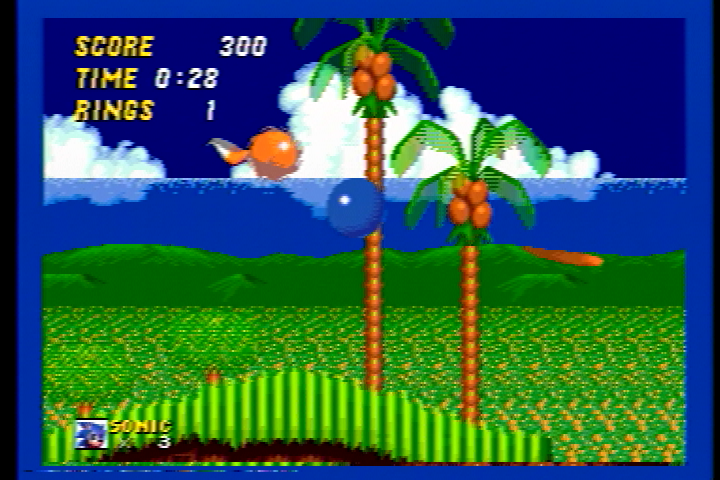 The Sega Genesis usually uses a 320x224 graphics mode. 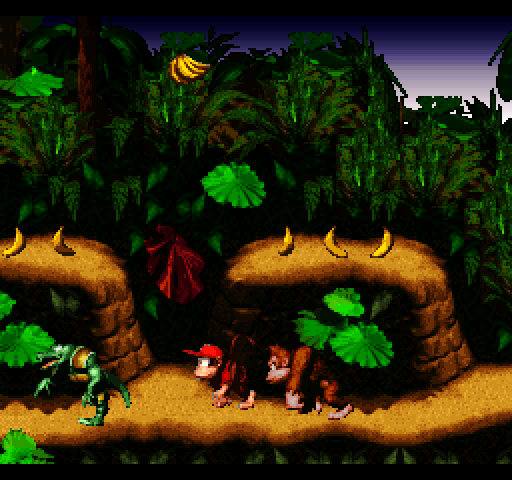 Some games use a 256x224 mode. 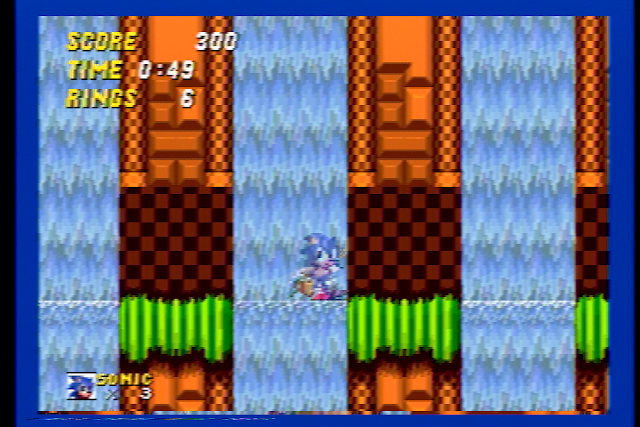 The 320x224 mode's horizontal resolution is so great that not all the pixels can be fully resolved in a composite video signal on a standard TV. There is frequent color fringing in thin-font text through the composite signal. Additionally, with alternating colors, you can obtain color artifacts to give graphics a transparent or blending effect. This effect was used fairly often and works best with long alternating vertical lines. Here are some examples from several Sega Genesis games. For these screenshots I am using Kega Fusion v3.64, with the normal RGB output and a video capture of a real Sega Genesis Model 1 for composite video. 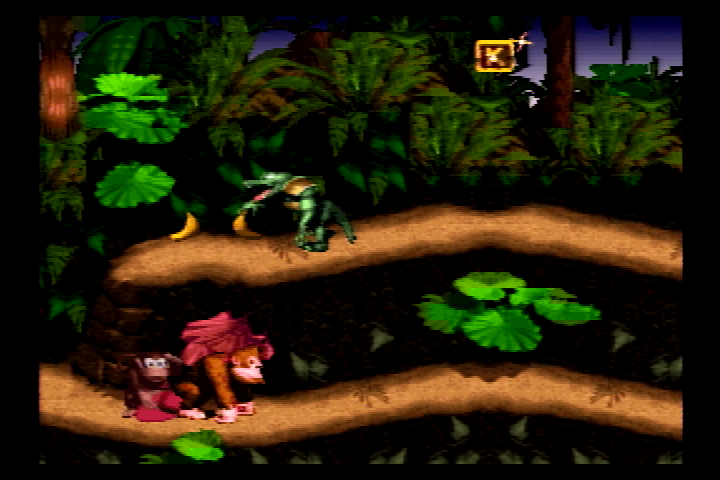 In each pair of Genesis screenshots, you will see the RGB first, then the composite. However, late in the SNES's lifespan, Nintendo sought to improve the graphics quality of some of its games by creating 3D models of sprites and background tiles on advanced Silicon Graphics computers and then storing what was needed in a pre-rendered form on the cartridge. 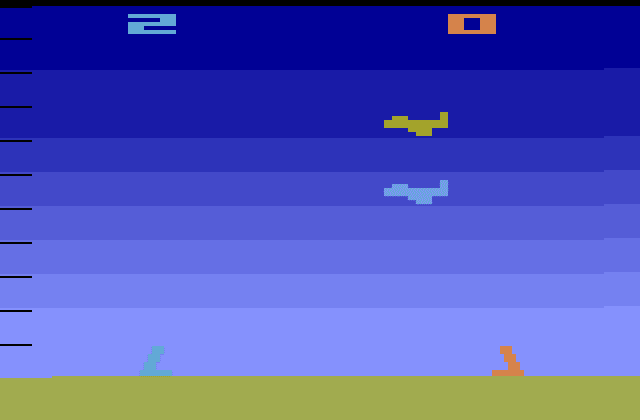 Pictures of these graphics looked awesome on boxes and manuals and magazines. Composite video can help hide the sharp edges from the down-conversion. It is kind of like free anti-aliasing. To give a flavor of more accurate dithering I used a composite capture device and real hardware (an early 2-chip PPU model revision). 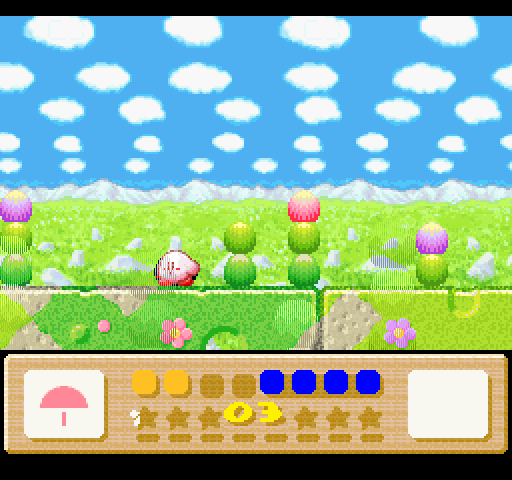 The first screenshot shows artifact graphics in the object partially covering Kirby, but you can see the gaps in between the lines. 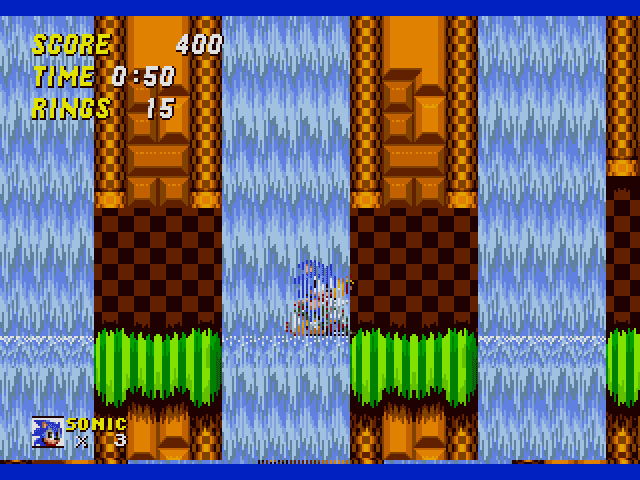 The second screenshot shows the transparency effect you would see on a composite monitor. The original model of the SNES is capable of S-Video output without modification, but you really begin to lose the transparent effects and forgiving qualities of composite video output. In light of the successful development of HD Retrovision's component video cables for the SNES and Genesis, giving North American gamers the equivalent of RGB video out, this is a timely topic. In 1985, IBM released a computer in Japan, Australia and New Zealand called the IBM JX, Model 5511. Essentially it was an ugraded PCjr., and perhaps what the PCjr. should have been. In fact, upon rumors of the JX making it to the United States, at least one commentator dubbed it the PCjr. 2. Released in 1985, just as the PCjr. was being discontinued, it proved to be the last machine by IBM with any substantial PCjr. compatibility. However, it was not successful anywhere it was released and consequently is extremely obscure today. The IBM JX shares much of the design philosphy of the PCjr. It had a wireless keyboard with an optional cable. It had two cartridge ports, the PCjr. sound chip and a graphics chip capable of doing all the PCjr. modes and (maybe) more. It had unique slots inside the machine for making upgrading easy. It has support for some peripherals built in. By 1984 third parties had already been selling stackable PCjr. expansions where you could fit a second floppy drive or a hard drive. IBM sold two for the JX, one added a 5.25" drive, the other a 10MB hard drive. The English compact JX keyboard 79 keys compared to the 62 keys of the PCjr. 's keyboard. It has a separate Scroll Lock/Break and Print Screen/*, but still has the function key activated Pause and Echo under the Q and E keys. It also has a separate Home key and a second Space and Tab keys. It also has a separate ~/` key. The full keyboard adds 19 more keys for a total of 98 keys, including a second set of Alt and Fn keys, the numeric keypad keys, an extra Enter key and numeric symbols. The Japanese JX keyboards have four additional keys, they split the spacebar into three keys. The machine was intended to be upgraded beyond 128KB of RAM. It appears to have separate RAM for the video and Cartridge BASIC built-in, see below for more details. Finally, there was an outlet on the back to plug the monitor power cable. Cosmetically, the machine came in black for Australia and New Zealand and black or white for Japan and also was made of sheet metal instead of the plastic PCjr. It allowed the user to use three floppy drives, and the floppy controller was underneath the 3.5" drives instead of taking up an additional slot. I also believe that the video RAM was separate from the main memory, so there would have been no performance issues with a 128KB JX like there is on a 128KB PCjr. Unfortunately, the designers were held back by some of the inherent design limitations of the PCjr. First, the most basic system only comes with 64KB, and another 64KB is added via a special memory slot (silkscreened EXRAM64), just like with the PCjr. The JX has a second memory (silkscreened EXRAM128) slot to add more memory, and IBM supplied a 128KB, a 256KB or a 384KB card. From IBM the system would be limited to 512KB of RAM, but third parties offered larger memory expansion cards to bring the system up to 768KB (probably only 704-736KB usable). Second are the proprietary ports in the back. The monitor uses a DA-15 port instead of the usual DE-9 port. The keyboard, light pen, cassette and two joystick ports use mini-DINs. The keyboard uses a Mini-DIN-6 just like the IBM PS/2 keyboard port, but the machine will not work with a PS/2 keyboard. Each joystick uses a Mini-DIN-7 port. The cassette cable uses a Mini-DIN-8 port. The lightpen looks like it uses a non-standard Mini-DIN-7 port. While the PC was not nearly as popular in these countries, this made it more difficult to not buy from IBM. Third, adding a serial port required a special card that plugged into a silkscreened RS232C slot the main chassis, whereas it was built-in on the PCjr. instead of a parallel port. Fourth, there appears to be no DMA capacity in the system, unless perhaps added by the hard drive upgrade. The JX1 came with no disk drives, but the JX2-JX5 came with two 3.5" drives. A special monitor is required for the 720x512 mode. Kanji character support required a separate daughter board that plugged into two sockets on the board, one silkscreened KANJIROM, the other silkscreened SYSTEM ROM. I believe the Kanji dot patterns took a full 128KB of ROM chips. A 15x16 Kanji symbol requires 30-32 bytes to display in a single color format. 128KB would be able to store the patterns for at least 4,096 kanji characters. This would be sufficient for everyday Japanese usage, because 2,000-3,000 characters are in common usage in Japan. In some ways, however, the JX was worse than the machine it intended to replace. First, it came with 3.5" drives. In 1985, 5.25" disks were what everyone was using. Nobody outside IBM would be able to provide PC compatible software on that format at first. JX users were punished with being early adopters or buying the expensive 5.25" upgrade. To add insult to injury, the BIOS and DOS (PC-DOS 2.11) recognized the 3.5" disks as 40 track disks. There was no capacity increase until IBM released PC-DOS 3.21 with an upgraded BIOS chip in 1985. Finally, I have read of several complaints from Australian and New Zealand individuals who used the machine in the past to complain about extremely poor compatibility with PC software. Between the disks, the lack of Tandy 1000 machines and the general unpopularity of the machine, this computer would have had serious issues with software. Second, the JX has nothing like the PCjr. 's sidecar bus in the main system, but the 5.25" floppy drive expansion adds 5 expansion slots that probably nothing used. Upgrades beyond what the slots do support internally required another box to sit on top of the main system. In other words, there was no such thing as a cheap upgrade outside the system. Third, the JX may lose composite video support, which would have been useful only in Japan because composite video with CGA or PCjr. is NTSC-based. 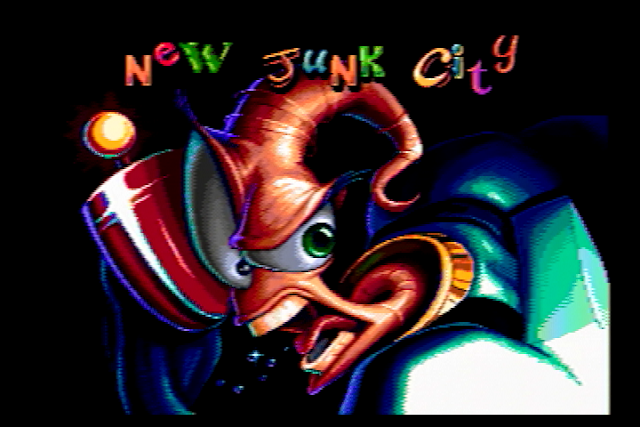 There is no video RCA jack as there is on the PCjr., but it is possible that one of the pins on the video port may output composite video, which an IBM adapter would provide. The video port also outputs sound, just like on the PCjr. and is intended to connect to a monitor with the identical features to the PCjr 4863 monitor. Fourth, the JX is far less easy to repair because IBM used seven surface mounted proprietary chips in the JX compared to the one proprietary DIP chip for the video controller in the PCjr. However, if you had a Japanese machine with the EXVIDEO and Kanji upgrade, you would probably see this instead : http://blog.goo.ne.jp/minami1001kaze/e/5900912c2257843e031153cb1f277713 You would also need a high resolution monitor like the 5515 to display the higher resolution modes. In this monitor color #6 is dark yellow, not brown. In addition to a monochrome 720x512 mode, ther was a four color 360x512 mode and a sixteen color 640x200 mode. There is an extended display mode cartridge which adds support for the modes that work with Kanji to BASIC and Japanese PC-DOS. There is also apparently an English language cartridge as well. Even with all this information, the lack of a Technical Reference for the machine makes it very difficult to answer all questions about it. I can only assume, for example, that the cartridge slots of this machine are compatible with the PCjr. and there is no performance hit in the first 128KB of RAM. I also assume that the system still needs a device driver loaded in DOS to access memory above 128KB or have a program specifically tailored for the JX. I do not know whether the keyboard is completely compatible with programs expecting to use the PCjr. 's keyboard. In my opinion, there are many indisputable classics on the NES. 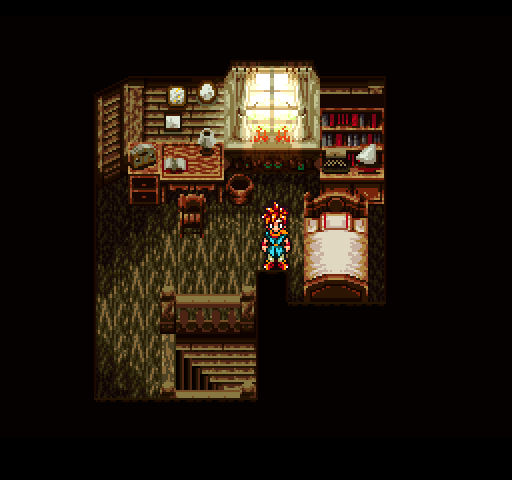 I also recognize that the library contains many, many other games that may not be indisputable classics, but are worth playing. I decided to make a list of the games I would recommend to somebody when they ask "what's a good NES game?" One thing I wanted to do is to cover as many genres as possible. Even though sports games are not my forte, I wanted to try and fill as many holes as possible. There are virtually no Street Fighter II style fighting games on the NES, so what is there, if it is at all decent, gets on the list. I did not include any casual games outside classic puzzlers, nor did I include games that typically will be categorized as edutainment. Some games are here solely because of their peripheral support. R.O.B. is a waste of money and the Power Pad is extremely impractical to use, and I would not inflict the Power Glove or the U-Force on a friend. But the Zapper was an integral part of the NES experience and there are good games for it. Arkanoid is on this list because it is fun to play with its VAUS paddle controller. Some games I recommend with reservations. If you want a 100% authentic version of the original Archon or M.U.L.E., you won't find it in these ports. You will find the essential essence of both games, an excellent two player head-to-head game in Archon and an easy way to get 4 player M.U.L.E. for the latter. North and South also qualifies in this. 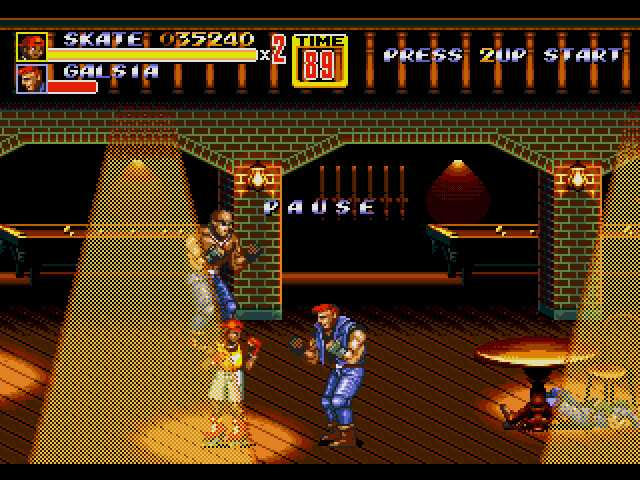 Double Dragon II can be unforgiving to get the best ending, but add a few Game Genie codes to make it fairer. Ditto for Ironsword and either Battletoads game. Usually with a game series I recommend all the games in the series. You will see every Mega Man game here, although some are better than others. However, there are certain entries in a series that are really weak and are not going to be on this list. 1942 is just too shrill and boring and Contra Force is too slow to stand alongside Contra and Super C.
Other games on this list just barely make the cut. 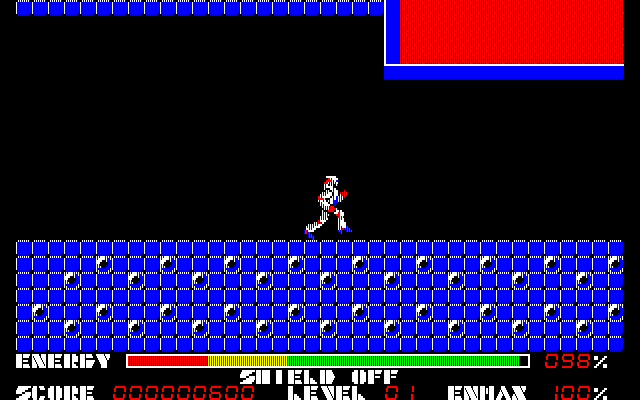 Strider for the NES does not compare to the arcade original or the Genesis conversion, but it has just enough, despite its bugs and oddness, to make the list. WURM is almost a guilty pleasure for me, but it is one of the better games that tries to implement more than one style of gameplay (and does not have those stupid mazes like Golgo 13). Godzilla is another, if it weren't for the excellent use of the license, it would be a very mediocre game. Some computer game ports are on the list, others are not. 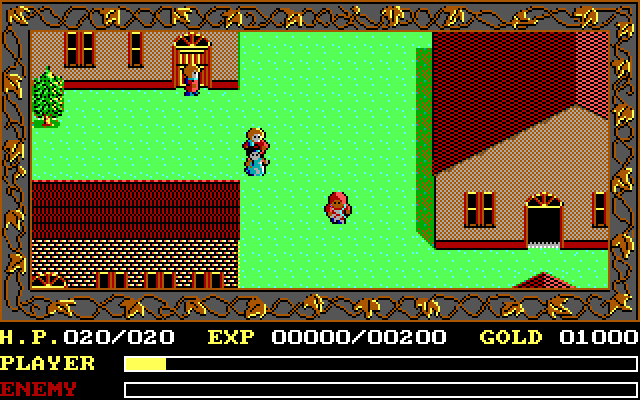 The Wizardry and Ultima series are best experienced on computer platforms, especially the latter. 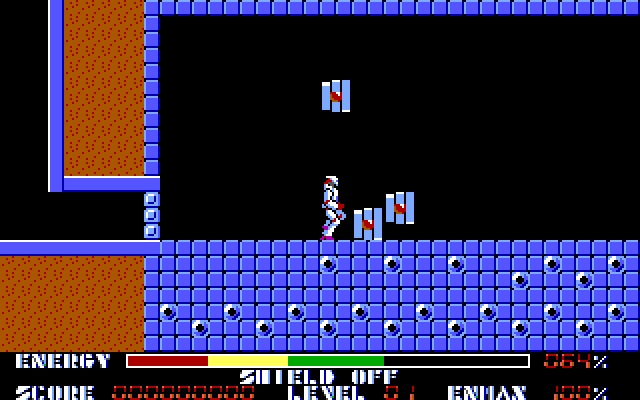 I chose Swords and Serpents because it is a good and more forgiving Wizardry clone that can only be found on the NES. 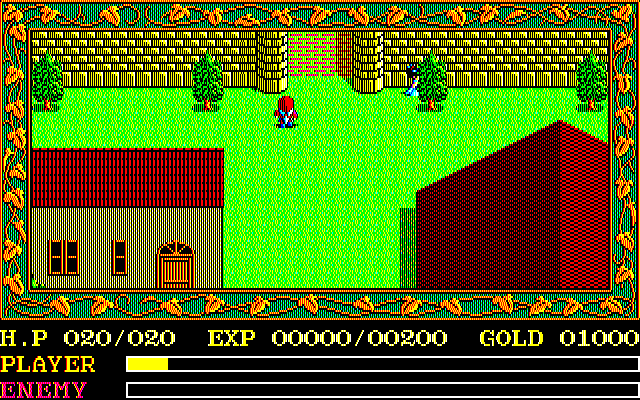 Pool of Radiance has merit in that it is a less unforgiving version of the original game while still retaining the essence of it. Maniac Mansion is far truer to its computer forebear than King's Quest V and has awesome and exclusive if repetitive music. This list is limited to North American NES releases during the NES's official lifespan. This includes games released from and including 1985 up to and including 1994. Unlicensed games released during that time frame are included, but not thereafter. There are no Famicom or PAL NES exclusives, and no homebrews or prototypes/reproductions. The list would probably double if all those were included, but I have narrowed the list to cartridges you could actually find on this continent. Of course, there are some expensive cartridges like Bubble Bobble 2 and Little Sampson on this list. There are some "classics" that won't be on this list. The original TMNT was a top 10 seller for the NES, but I cannot recommend it over so many other games that were not colossal disappointments. Ikari Warriors was popular, but Guerilla War and Iron Tank (also from SNK) are better than all three Ikari NES games combined. 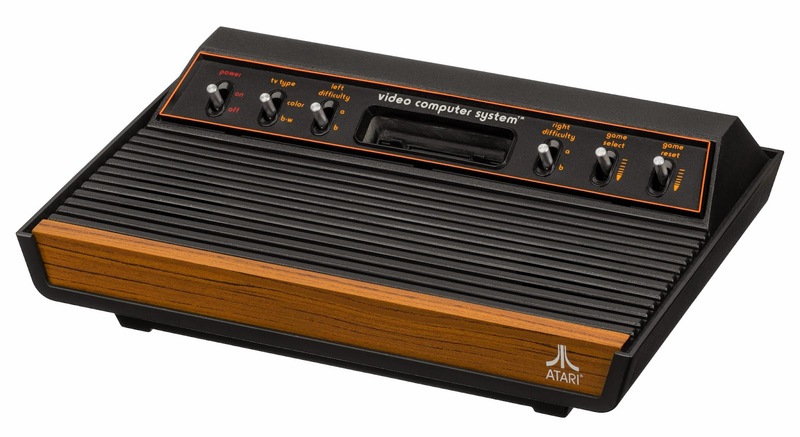 The original Atari 2600 VCS had six switches to control the various game functions, Power On/Off, B&W/Color, Left Difficulty, Right Difficulty, Game Select and Game Reset. In the early models of the console, there were six aluminum switches, symmetrically spaced on either side of the cartridge slot, three on the left, three on the right. Later, Atari redesigned the console to reduce costs and put the left and right difficulty switches on the back of the console and used standard plastic switches instead of aluminum. Even with this change, there were still two switches to the left of the cartridge slot and two to the right. This continued into the Atari 2600jr, except that all the chrome switches had been replaced with plastic. 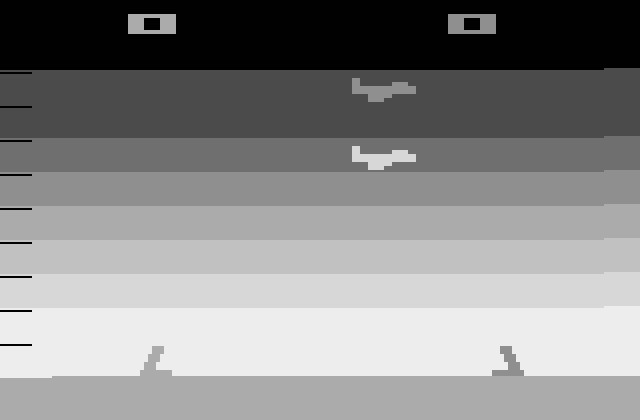 Nonetheless, the symmetry of the Atari 2600 is an aesthetic that has been seldom been so rigorously pursued in a console's design throughout its lifespan. The standard Atari joystick only had one button and the cartridges were too small at first for title screens, menus and logos. Changing settings were done by these switches and the program reading the appropriate port. Only the Power On/Off switch had a fixed function, it was connected directly to the electrical path that powered the console. The other five switches were each connected to a bit on an I/O port. The game could do whatever it wanted with them, but by convention the Game Select and Game Reset switches usually did just as they indicated. While Left and Right difficulty were originally intended to set a handicap for one or both players, human or computer, they could just as easily be used to adjust game characteristics. However, it is very important to remember that a B&W TV was often the second TV in American households in the late 1970s and early 1980s. If the parents did not want the kids to hog the main TV with video games, they would hook the system up to a second TV. Few U.S. TVs had two color TVs during this time frame. Many kids grew up playing video games on B&W TVs, it is a very important part of retro gaming that too often overlooked. There are undoubtedly more games than on this list, but it serves as an illustrative example of why the B&W/Color switch should not be utterly ignored. Devices like the Atari Flashbacks which do not include the B&W/Color switch will not function as originally intended with these games. 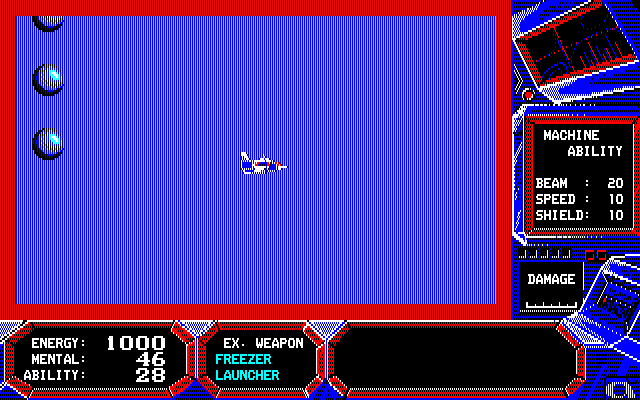 Beamrider is the only game where the Activision logo is not always seen during gameplay from the pre-crash era. 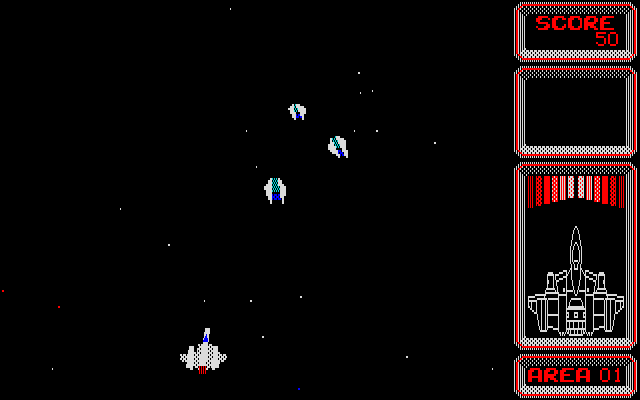 Beamrider was the first game to use the (c) character instead of the word Copyright. It is also the last time the rainbow version of the Activision logo would be used. Ghostbusters is unique in that it does not have the word Activision is not using the standard appearance. After Ghostbusters, the (c) and year would be instantly replaced with the non-rainbow Activision logo, no scrolling. Also, if the game was licensed from another company, that company's name would appear after Activision's. Japan has a fine tradition of its own home-grown computers. In the United States, Apple, Atari, Commodore, Tandy and Texas Instruments all produced computers for the mass-market that were incompatible with each other and with the emerging IBM PC standard. The United Kingdom had its own computer industry with Sinclair and Commodore and Amstrad churning out budget machines that were not going to replace serious IBM PCs. 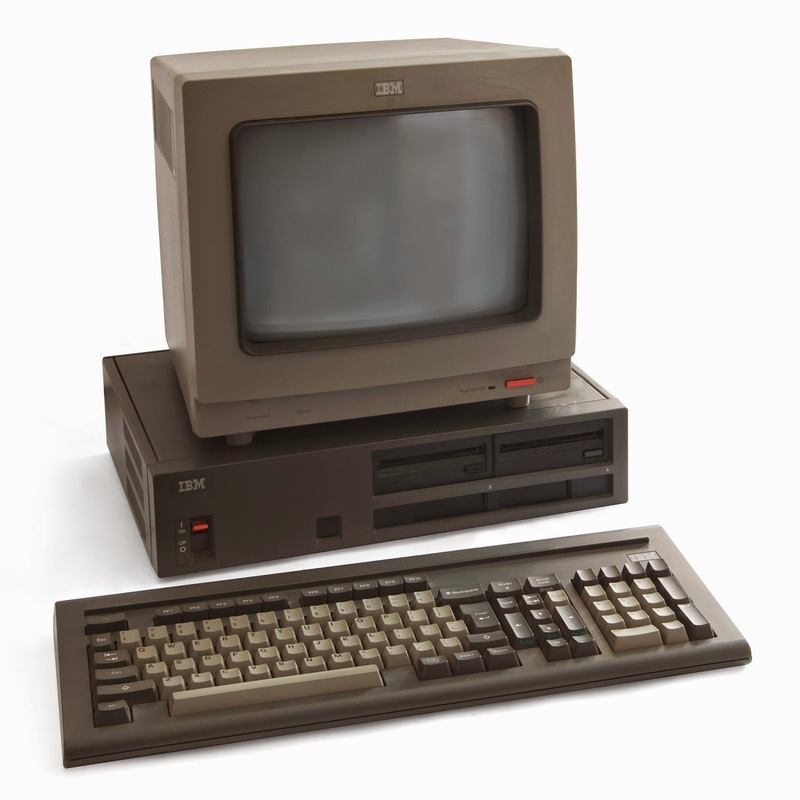 In Japan, NEC, Fujitsu and Sharp were the big PC players in the 1980s and the MSX machines also had some popularity. The first three companies produced machines more targeted to the business market. Their machines emphasized resolution over graphics capability. Because Japan used Kanji characters in written communication, high resolution support was necessary for business machines. Kanji characters are difficult to decipher in less than 16x16 pixels, whereas the regular Latin alphabet and Katakana and Hiragana scripts can work with 8x8 pixels. Typically, a Japanese computer had graphics modes that went to 640x400 at 8 or 16 colors. They achieved this resolution at a cost of features and color depth. Any machine that did not support high resolutions, like the MSX machines, were viewed mainly as game consoles like the Famicom and PC Engine. If the MSX machines were like the Commodore 64 of the Japanese home computer market, then the NEC PC-8801 was the Apple II of that market. Most computer game developers seemed to cut their teeth on this machine, of which there were many iterations. In the beginning it used a Z-80A CPU running at 4MHz, but it was easy to port games from it to its more expensive brother, the 8086 based NEC-9801, and the similar Sharp X1 and Fujitsu FM-7 machines. Each of these machines supported a 640x200 graphics mode with 8 colors and this is what games primarily used for most of the 1980s. Those colors were often, but not always, the standard eight colors : black, white, red, green, blue, yellow, cyan and magenta. 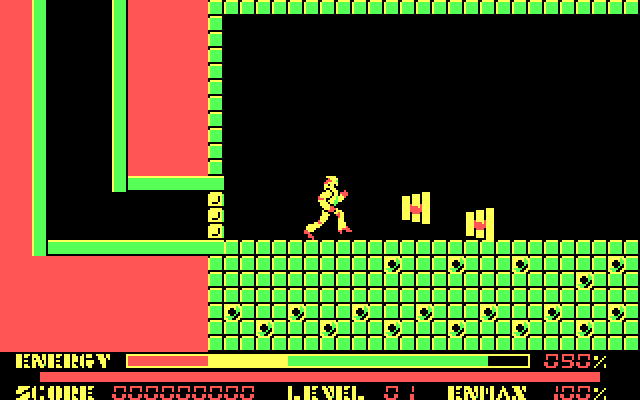 However, the games described here could choose from a palette of 512 colors on the NEC PC-8801. 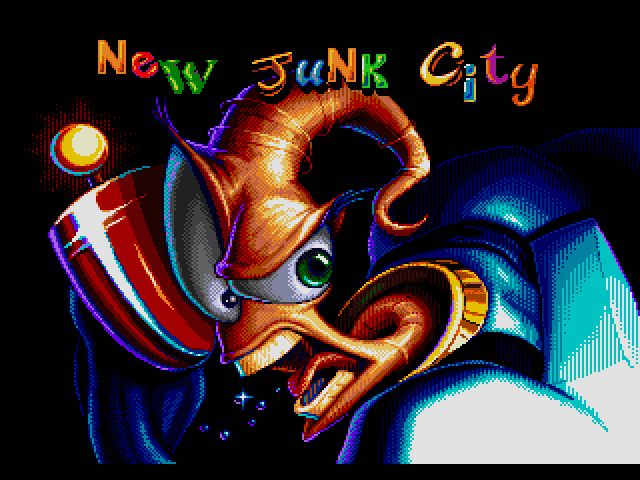 This was more impressive than CGA, PCjr. or Tandy machines using high resolution graphics modes, but EGA and VGA cards could do 640x200x16. In the 640x200x16 mode, the PC ports usually look almost identical to the PC-8801 games, albeit with a somewhat darker color palette. 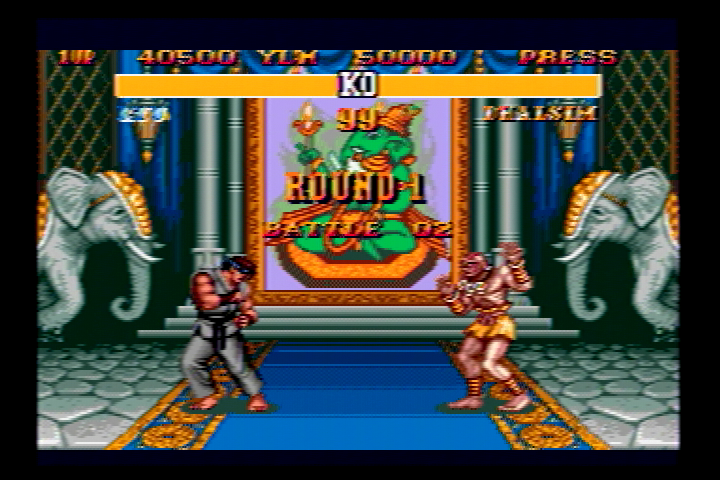 Eventually as the color depths and resolutions improved, they would still use the high resolution, lower color modes compared to imported western games that used lower resolution, higher color 320x200x256 VGA graphics. However, when it came to sound support, these machines had the IBM PCs beat for most of the decade. The Sharp X1, Fujitsu FM-7s and MSX machines had AY-3-8910s or YM-2149s which were slightly better than the TI SN 76496 used in the IBM PCjr. and Tandy 1000s. By 1985, the PC-8801mkII SR had an internal Yamaha YM-2203 FM and PSG sound chip and the PC-9801s were using more advanced YM-2608s. (The PC-8801s would get the YM-2608 with the PC-8801 FA). Even with fewer sound channels, the YM-2203 had better capabilities than the Adlib YM-3812 and the people who composed for the PC-8801 like Yuzo Kojiro were far more skilled at FM synthesis composition than the Adlib composers. While Japanese consoles were at the vanguard of the Japanese video game invasion, Japanese computer games also had a smaller, less celebrated role to play. 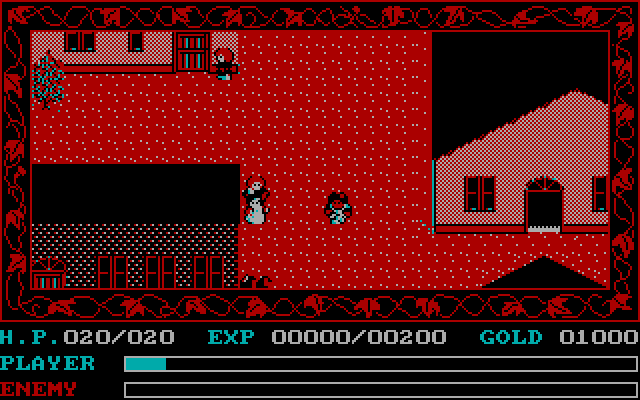 Western games like Ultima and especially Wizardry were extremely popular in Japan for a while, and other genres like adventure games had a niche. Ken Williams of Sierra On-line went to Japan and was so impressed that he established a branch of Sierra over there and secured rights to port several popular Japanese PC titles to IBM PCs and some other Western home computers. 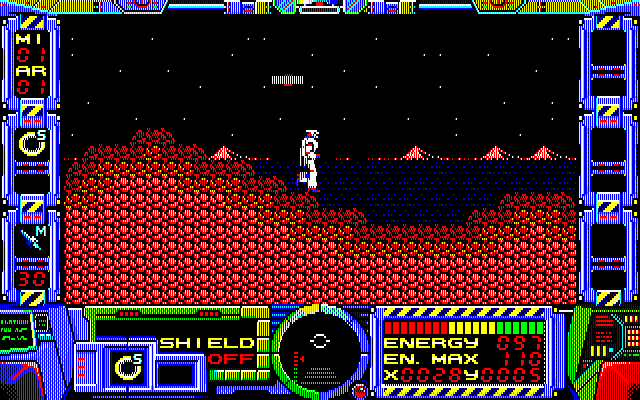 From 1987-1990, Sierra released Thexder, Silpheed, Fire Hawk : Thexder II - The Second Contact, Zeliard and Sorcerian. The first four of these games were developed by Game Arts, and the last by Falcom. Sierra was not the only company to get into the act, as Broderbund released Ys The Vanished Omens (also by Falcom), Wibarm (by Arsys Software) and Cosmic Soldier : Psychic War (by Kogado). All these games were originally developed for the NEC PC-8801, so the rest of this blog entry will discuss how the PC releases held up to the Japanese originals. 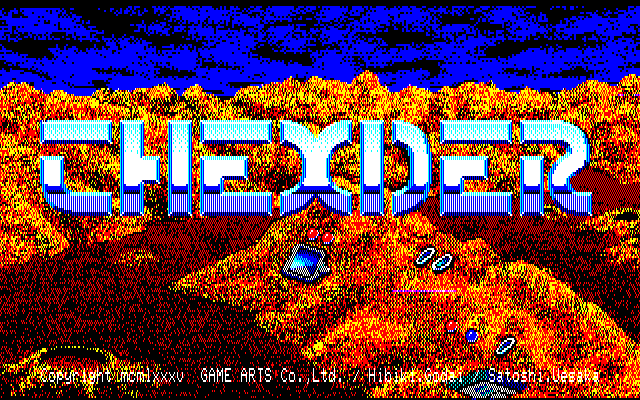 Thexder was Sierra's first release in 1987 and probably its best seller of all the Japanese games it released. However, as far as conversions went, you could tell they were still finding their feet. 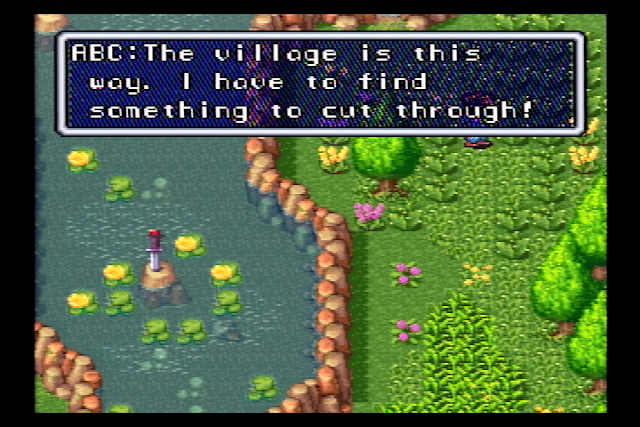 Thexder is not a very varied game, so the little things count. 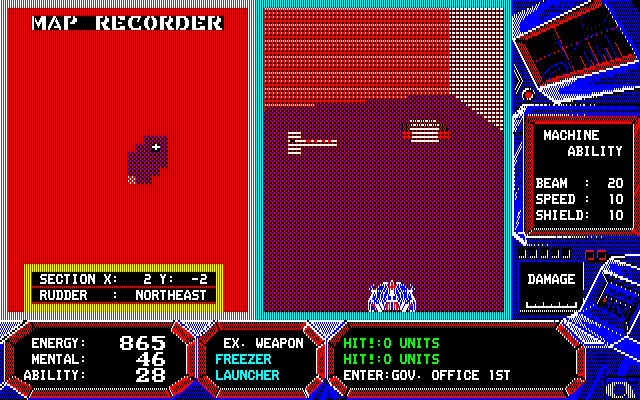 The beam in NEC Thexder is thin, multi-colored, uses circles to indicate hits and explosions, and uses the sound chip for its sound effects. The title screen has scrolling sky. 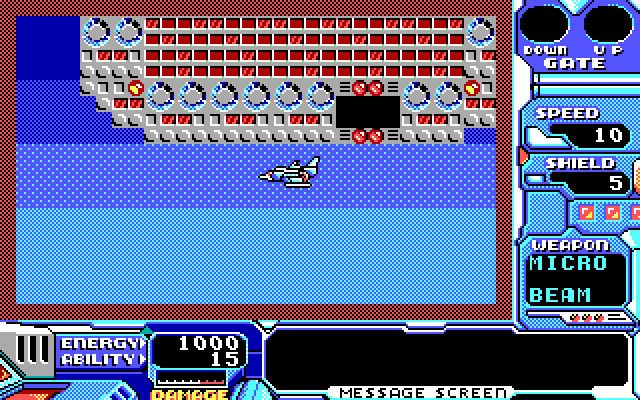 The PC version uses the Tandy/PCjr. sound chip for the background music and the PC speaker for the laser beam sound effect. 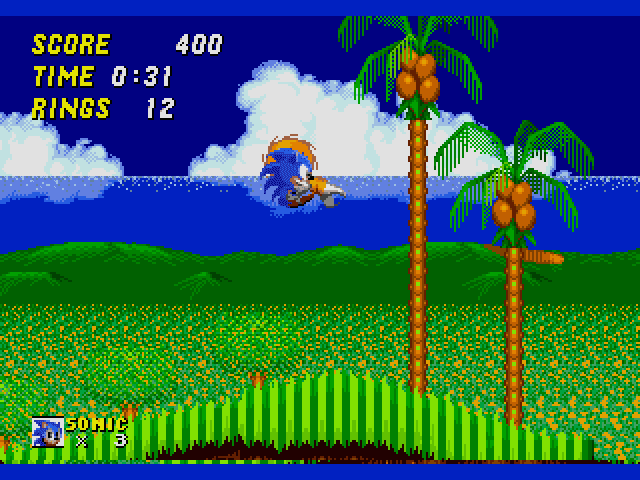 However, when played on a non-Tandy or PCjr., the PC speaker is used for background music, or if the music is turned off, for the beam sound effects. The beam is a thick white line, and there are no contact explosions. Undoubtedly, the PC Speaker does justice to neither the music nor the sound effects. This game was too early for sound card support. 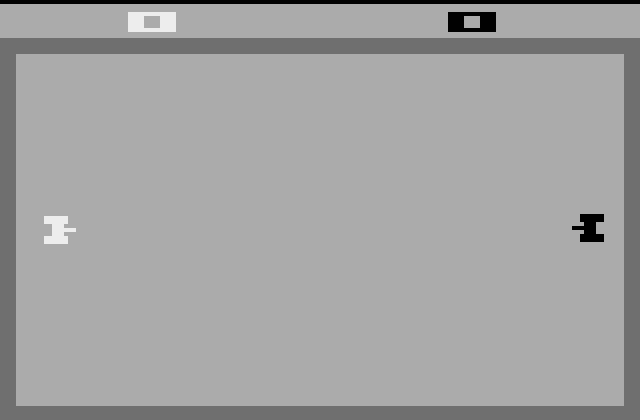 However, one good thing Sierra did was to use the EGA 640x200x16 mode. 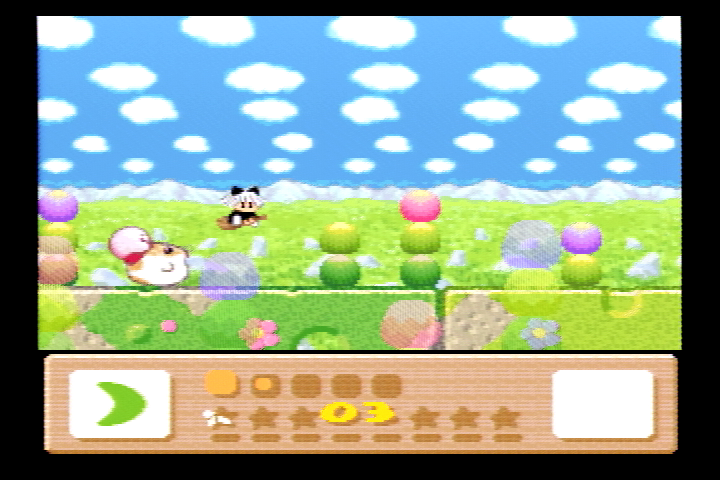 This allows the PC graphics to appear similar or identical to the Japanese graphics. They would continue to support high resolution modes.for all their future releases. 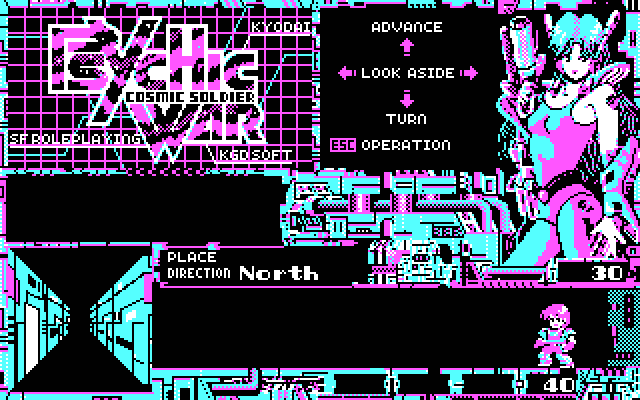 There are also CGA and Tandy and even MCGA graphics, the last of which draws from an expanded range of colors. These graphics were drawn in the lower resolution, 320x200, than any contemporary Japanese version outside the NES or MSX. 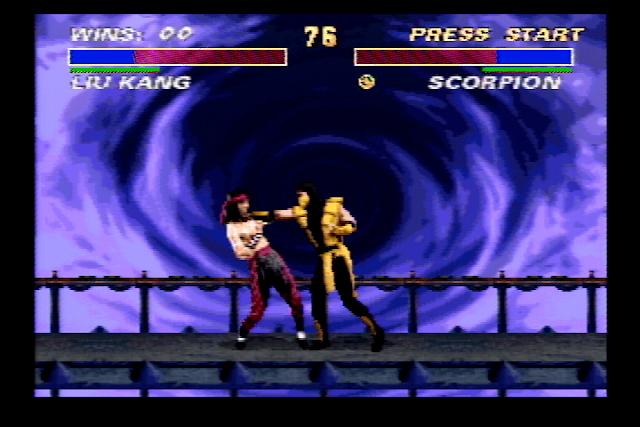 This made the graphics easy to port, but conversion work was required for players without a VGA or EGA card. Oddly enough but only one of Sierra's releases supports Hercules Graphics (Zeliard), despite the high resolution mode of that card. 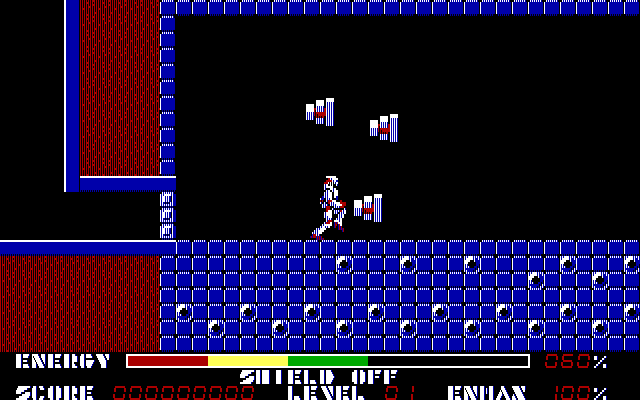 It does not appear that Thexder supports a joystick on the PC-8801, but the other games do. The PC-8801 supports a standard Atari-style digital joystick port with two buttons using the MSX pinout. 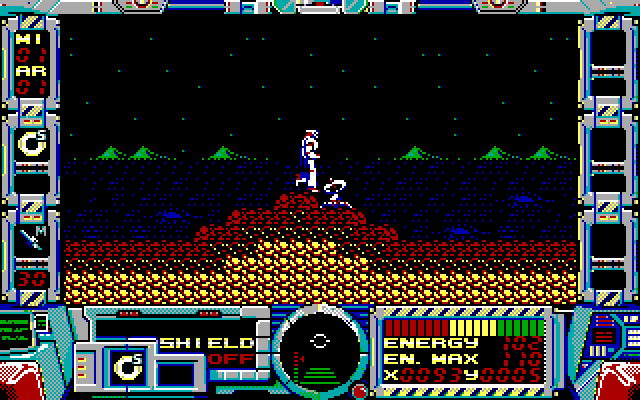 Thexder, like all other PC-8801 games featured in this post, requires a PC-8801 with the V2 graphics mode. This was first introduced with the PC-8801mkII SR in 1985, and all subsequent machines support this. The 8801mkII SR and the later machines also support the joystick, which leads me to believe the lack of joystick support was intentional to make the game harder. 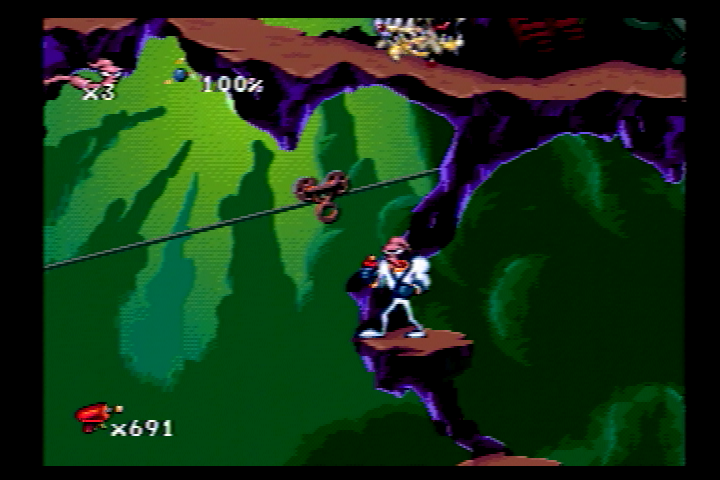 However, if that was not sufficiently challenging, the gameplay speed is much faster than Sierra's ports. It plays at Warp Speed by comparison. Even the other Japanese versions are more sedate. 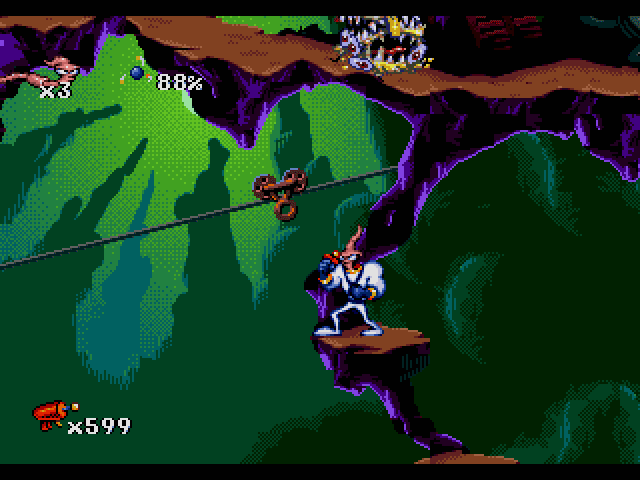 Sierra's joystick support and sane speeds makes its version arguably more playable than the original. In later games, using a digital gamepad is definitely the way to go, whether on a IBM PC compatible or a PC-8801. Of course, on a PC these games only support the standard analog gameport, but these games have simple joystick reading routines where above and below a certain threshold response equals movement on an axis and a reading in between those responses means no movement. A Gravis Gamepad works perfectly with a three state axis reading routines, and is the best way to play these games on real hardware. This stinks if you have a Tandy TX or earlier machine, which has a joystick port that does not function identically to a standard PC port and does not work with Gravis Gamepads, even with an adapter. A Tandy TL can disable its built-in gameports in software, so you can use a standard gameport on an ISA card. 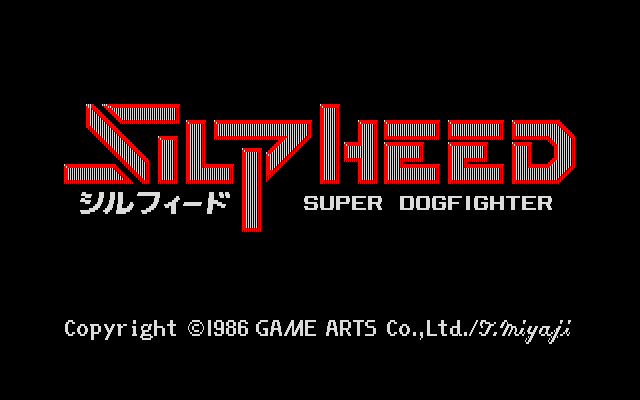 When Silpheed was released in 1988, there was nothing quite like it for western computers. There were shmup like games on the home computers of the time, but they were mainly ports of arcade games and small independent works. Silpheed used a very unusual perspective for its time and since. 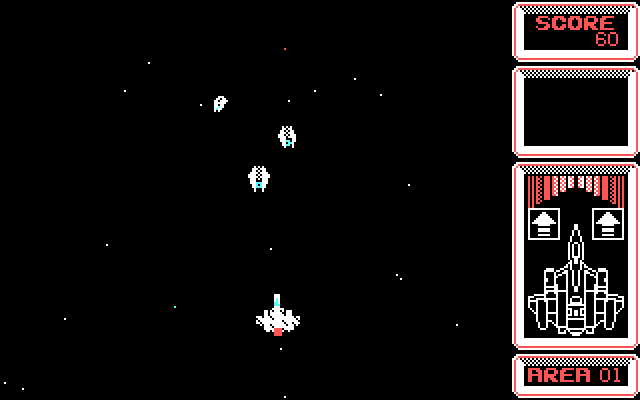 It plays close to a top-down shooter, but the perspective was angled like a pinball machine. Objects were given the appearance of depth and the original game developers used polygon ship designs. Silpheed is very challenging. The enemies came fast and furious and the difficulty in dodging constant attacks and the difficulty of keeping your ship's lifebar up could get very unforgiving. The overall polish of the product cannot be denied. Sierra had been transitioning from autodetecting graphical capabilities and supporting Tandy sound if run on a Tandy to fully selectable graphics support and support for popular sound cards. It also introduced document-based copy protection to the Japanese games. This was one of the initial games for which Sierra had included support for sound cards. It supported the Tandy 3-voice sound chip, the Ad Lib Music Feature Card, the Roland MT-32 and the IBM Music Feature. 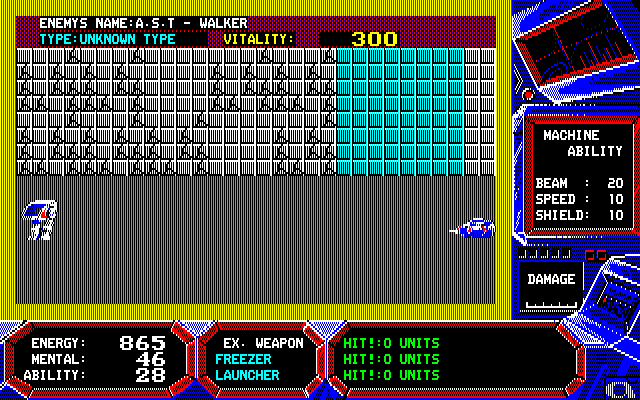 Game Blaster support could be added via a patch and version 2.x supported it out of the box and the Yamaha FB-01 (identical music to the IBM Music Feature). Sierra did the music justice on the MT-32. However, the rest of the sound presentation left something to be desired. 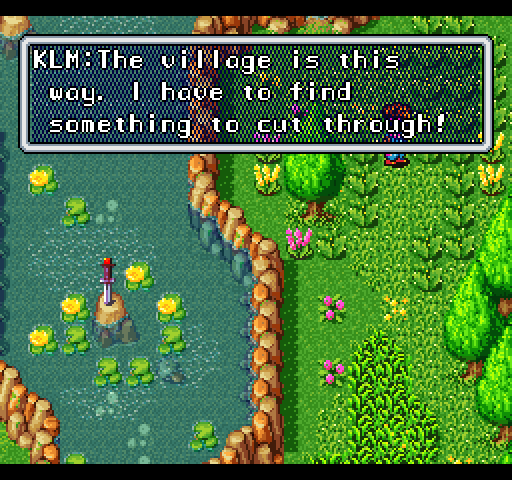 Sierra attempted to recreate Xacalite's speech at the beginning of the game, but failed so miserably that they added subtitles in version 2.0. Sierra used PWM PC Speaker for the effect, but the sound chips could have done better. The original PC-8801 version uses Composite Sine Mode to loosely approximate human speech. 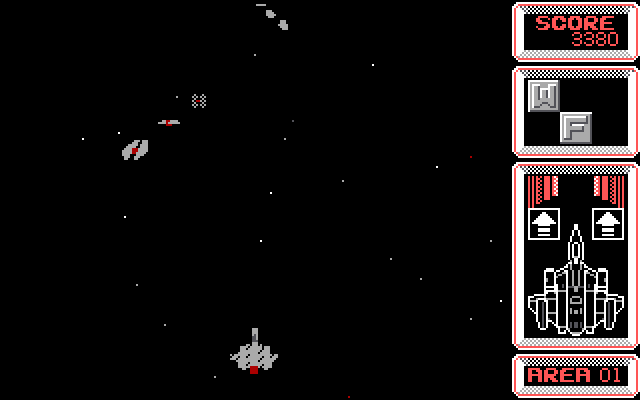 Other speech samples, such as when the Silpheed fighter docks with the ship, were not included. 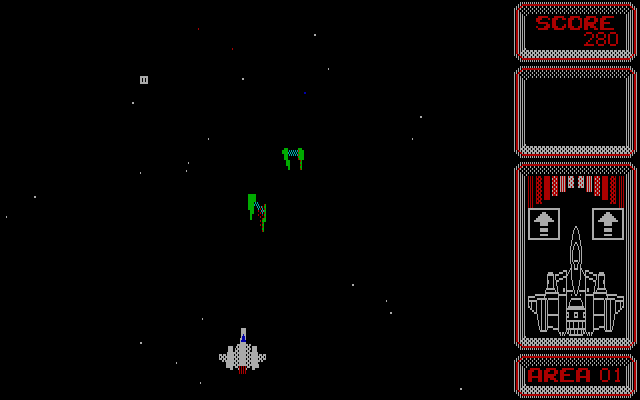 The sound effects for the laser gun only use the PC speaker, and there are no sounds when enemy ships are hit. Although the sound effects were not particularly impressive on the original, it is better than silence and PC speaker warble. However, in version 3.0, Sierra supported the IBM PS/1 Audio/Game Card, which had a DAC. Now Xacalite's speech was clear, the voices when you dock the ship are restored, and the sound effects sound comparatively great. IBM was so impressed with the game that they bundled it with the card. Unfortunately, this version was apparently not released outside IBM's offering, came well after the game's original release in 1991, did not support a wide variety of hardware and was obscure for many years. Fire Hawk continued the improvements to Sierra's releases. One of the best features of Sierra's Japanese releases was that the box art showed some awesome mecha for Thexder and Silpheed, and Thexder's sequel was the best of all. 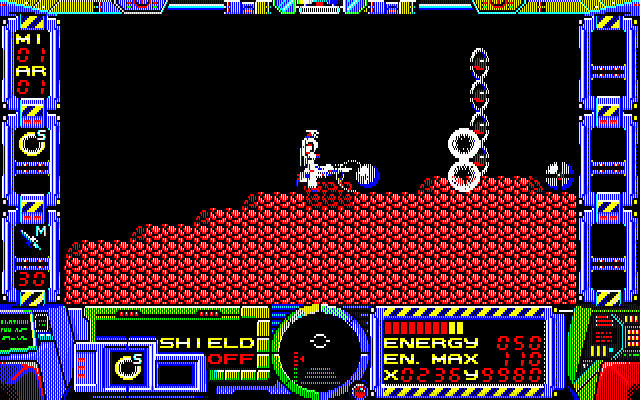 Fire Hawk improved on the original by having power ups in addition to the blaster, more varied enemies and environments and a full music track instead of the two tracks that Thexder used. There was also a substantial back-story and there were some attempts to develop the story during the game. While Fire Hawk could be cheap, it was not quite as unforgiving as Thexder. This was the only other game in this Sierra series to support manual-based copy protection. Fire Hawk pushed the limit of the PC-8801 series. 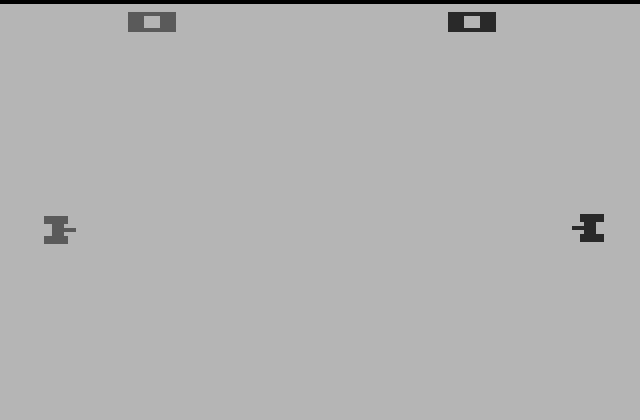 With a 4MHz machine, there would be no backgrounds, just black space. 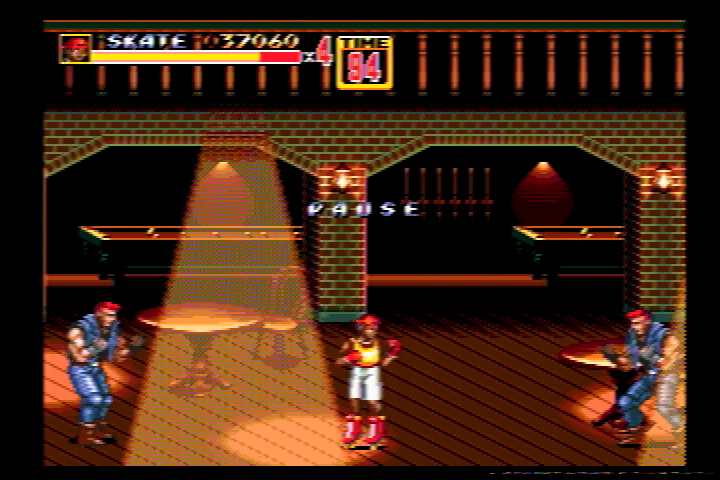 With an 8MHz machine, the game would draw the backgrounds and the gameplay would be significantly less choppy. Sierra had an install option to instruct the game not to draw these backgrounds on slower systems, but gave the user the choice. Also, the game would take advantage of the more advanced YM-2608 chip found in the later machines to enhance the existing music. The music is not radically different compared to the machines with the YM-2203. Sierra was beginning to slide a bit by this time. The music compositions are a bit hit and miss if you do not have an MT-32. The MT-32 has its own unique sound which competes heavily with the YM-2608 original tunes. In addition, the Japanese versions had the opening story told in game via Ninja Gaiden-like cinematics, but Sierra relegated it to a comic in the manual. 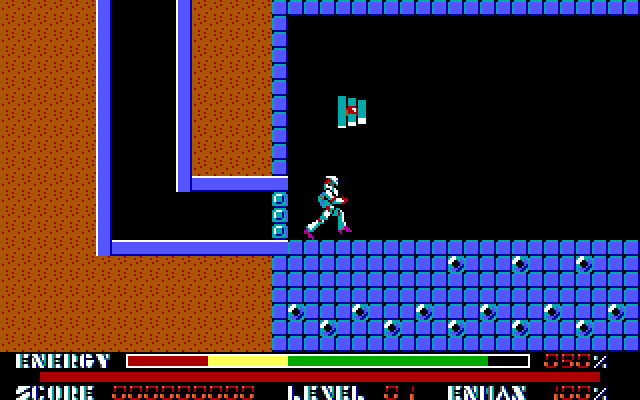 Also, the MCGA graphics option does not take any advantage of the larger color palette (unlike the same option in its predecessor) and looks identical to the Tandy graphics option. 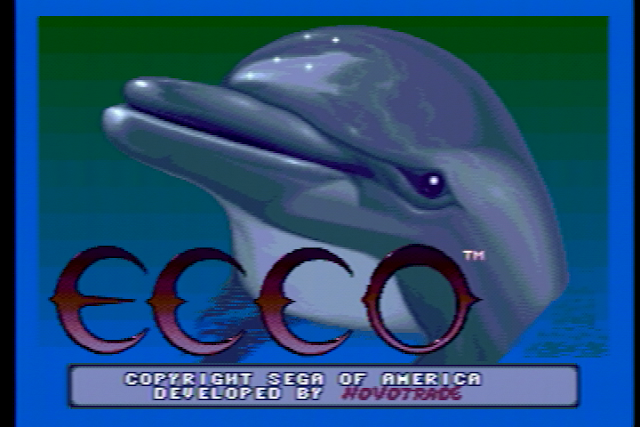 There is no CGA option, so owners with that level of graphics capability were out of luck. 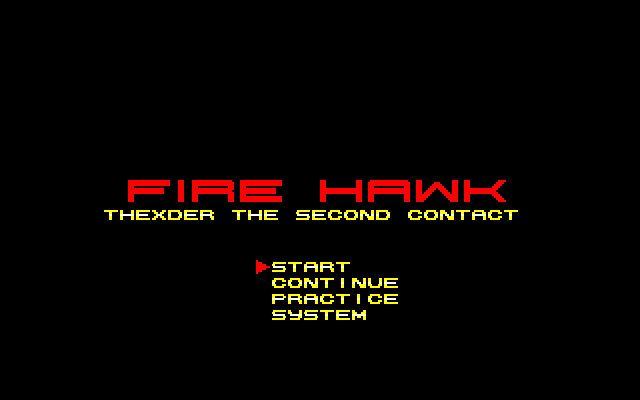 With Fire Hawk, Sierra finally allowed sound effects to be played through something other than the PC Speaker. 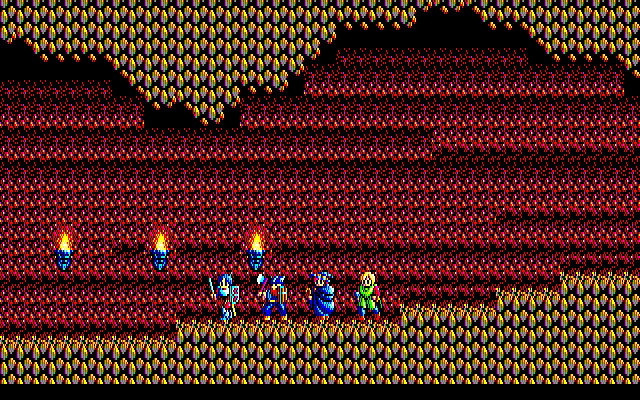 Fire Hawk supports both Tandy and Sound Blaster DACs for the sound effects, and they sound great. Unfortunately, the drivers pair these DACs with their respective sound chips, so you will only be able to officially hear Tandy music with the Tandy DAC option and Ad Lib music with the Sound Blaster option. The game itself is a side-scrolling action adventure similar to Ys III : Wanderers from Ys. The controls are rather loose, even with a game pad, and hit detection is very generous from the monster's perspective. 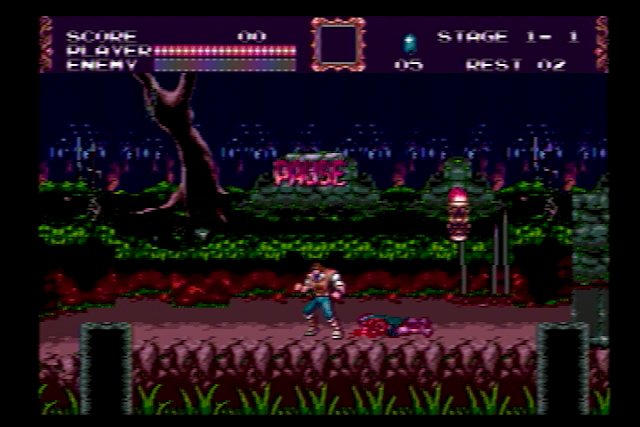 There are some enemies, like bats, that cannot be hit very easily because the overhead attack is tricky to pull off. The environments are very maze like and virtually mandate the use of maps. Fortunately Sierra included some in the box. Caution is the rule of the day in these games. Unfortunately, Sierra's marketing for the game seems to be virtually nil. The box art is pretty bad, the manual is slim and only accompanied by a map poster. Music support is limited to PC Speaker, Tandy, Ad Lib and MT-32. 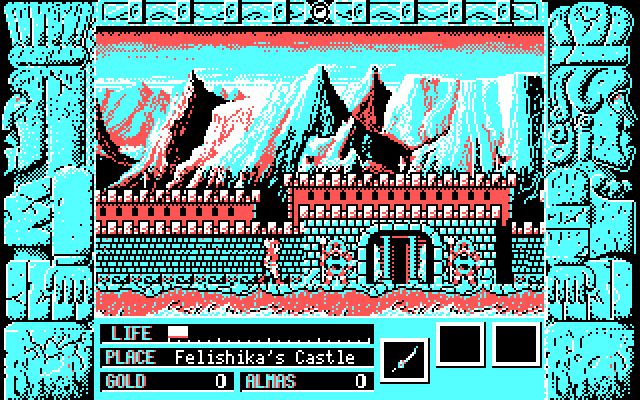 However, there is support for CGA and unique among Sierra's ports, Hercules monochrome graphics. Additionally, there is no copy protection in this game or Sorcerian (but the manual is kind of required for the latter). Zeliard uses Composite Sine Mode to loosely approximate voices during the introduction. The PC version does not support this, although the hardware of the YM-3812 in the Ad Lib did support Composite Sine Mode. Instead it uses high to low pitched notes to give some aural expression to the text. 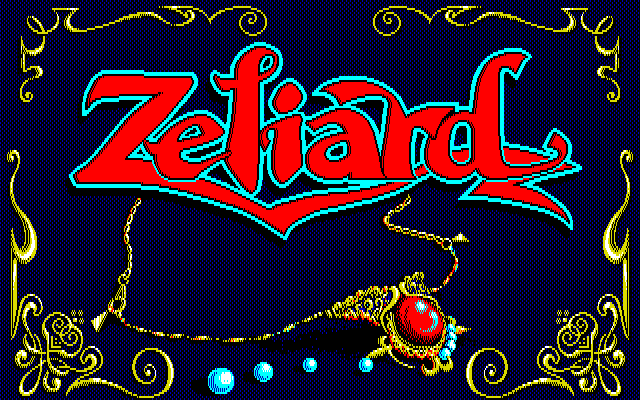 Getting Zeliard to run in a PC-8801 is not obvious, unlike these other games. You need to boot Disk 3 and let it format a user disk (use a copy of Disk 3 with an emulator or a blank formatted disk). Despite what TOSEC says, there are only three game disks. Then start the game with Disk 1 and Disk 2 in drive 1 and 2, respectively, let it get past the intro and then insert the user disk you created. 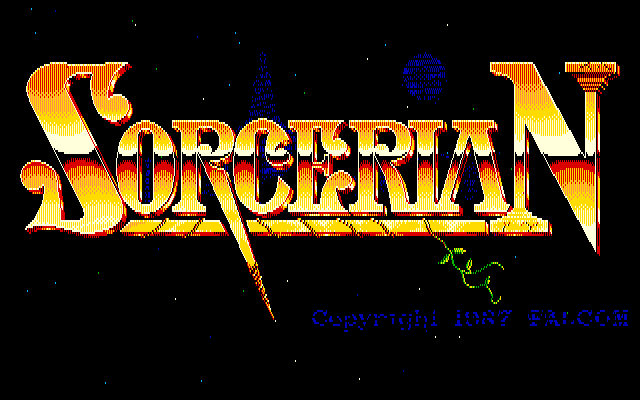 Sorcerian was the last direct port from Japanese PC games Sierra released. Sorcerian was originally released by Nihon Falcom in Japan, and is the fifth canonical game in its Dragon Slayer series. 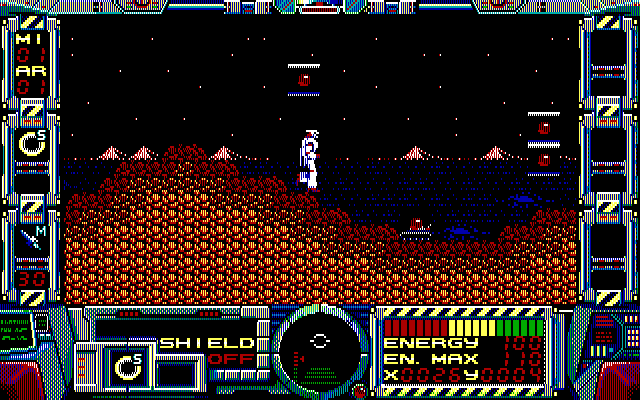 Unlike the earlier games, this one only supports 640x200x16 graphics, requiring an EGA or VGA card. It also appears to require a 286-class system, based on the box sticker that says "IBM AT VERSION". 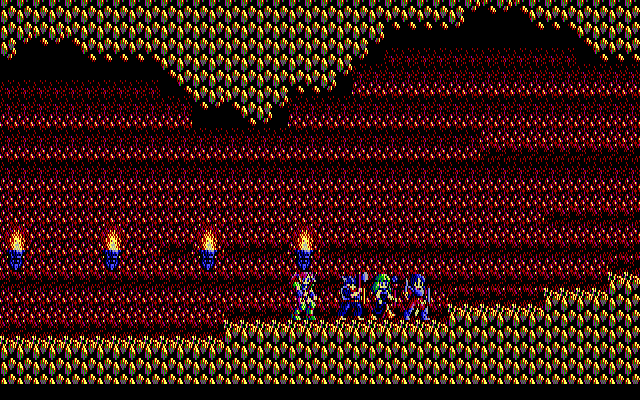 Even though Sorcerian was a side-scrolling adventure like Zeliard and its predecessor, Dragon Slayer IV : Drasle Family (better known as Legacy of the Wizard on the NES), it was very ambitious. It has a character select system like Ultima III that allowed you to create multiple characters and form parties with them. Your characters had classes, occupations and could change as they aged. Each character went into shops to buy his own equipment like Wizardry. You don't control one character but four, which move and jump in unison. The game gave you fifteen quests instead of a singular goal. In Japan Falcom and other companies released expansion scenario disks to add new quests to the game, but Sierra only released Sorcerian with the basic 15 quests. Sorcerian's music support is limited to the Ad Lib, Game Blaster, MT-32 and the Yamaha FB-01. Unfortunately, Yamaha FB-01 music tends to crash in the gameplay screens, only in the option screens and the music guild. The music guild option is not readily available in the PC-8801 version, but there are more sound effects in the PC-8801. Unfortunately, Sierra went back to its lazy ways of using only the PC speaker for sound effects, regardless of music device chosen. 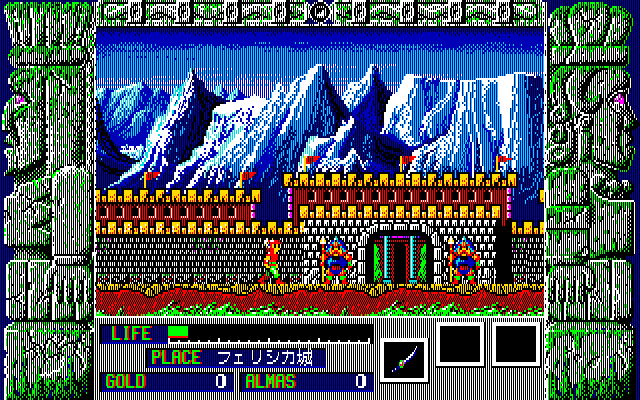 Unfortunately, Zeliard and Sorcerian were not huge sellers, and Sierra turned from its partnership with Japanese companies. Its next partnership was with the developer it bought, Dynamix. This is the first Japanese PC game published by Broderbund. This is unfortunate because Ys 1 is a very good game but Broderbund did it no favors. The only graphics options are CGA, Tandy and EGA 320x200 graphics. 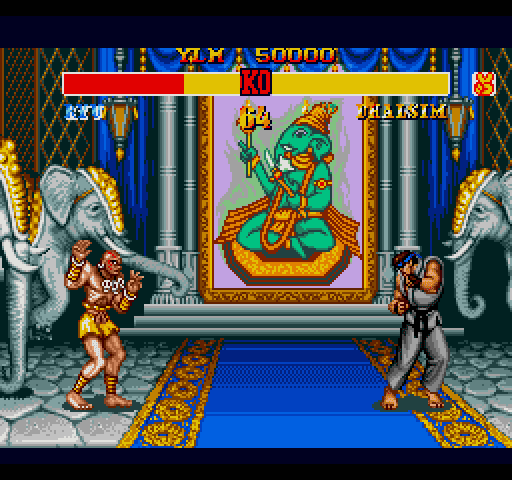 Hercules graphics are supported, but don't convey the original high resolution graphics of the original Japanese version. As bad as the graphics are, and they make the main character look like a walking turd, this is nothing compared to the laziness of the sound engine. Only PC speaker is supported, and there was no excuse for this in 1989. The port was done by Unlimited Software, Inc., the porting arm of Distinctive Software, Inc. While the company did have some experience with sound chips, their ports generally are rather middling in quality (TMNT U.S. version was impossible to finish, Castlevania with anything but the PC Speaker slows the game to a crawl on 286s), and Ys is no exception. 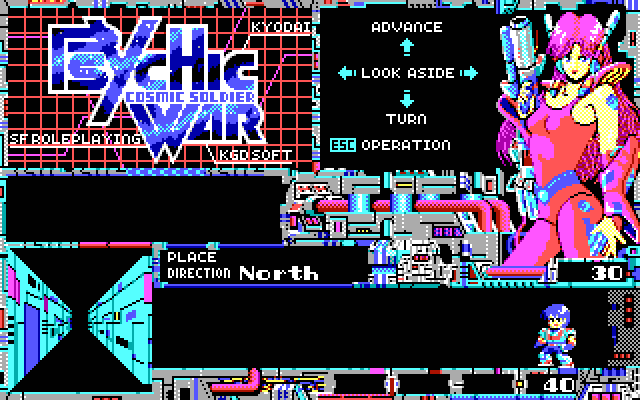 On the plus side, the game plays like the Japanese original, even down to the keys used to bring up the menu screens. 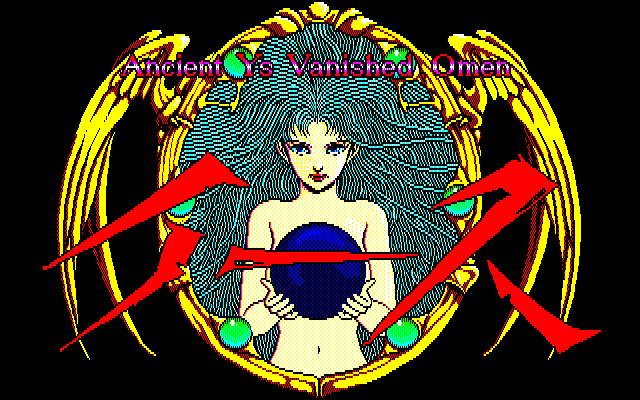 One benefit to having the translated PC versions is that the menu options and other text in English are usually in the same places as in the PC-8801 versions, making games like Ys and Sorcerian much easier to play. But the glorious music, composed in part by the legendary Yuzo Koshiro, is done no justice here. It appears as though the PC speaker was assigned to one instrument, which would have given Tandy music a fuller sound had it been supported. Broderbund also released an Apple IIgs port, and while the graphics are no better than the PC port, the music is done some justice due to the IIgs's synthesizer. 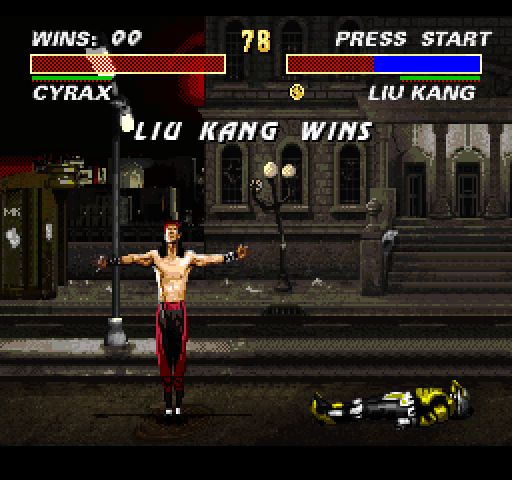 The PC port uses disk-based copy protection, which was already considered passe' by the time. Ys was also ported to the Sega Master System (which uses the same sound chip as the Tandy) and later to the Turbo Grafx 16 CD with its sequel, but these are the only forms which the West ever officially received until the release of Legacy of Ys: Books I and II for the Nintendo DS in 2009. In the PC and Apple IIgs ports, names are changed. Adol Christin becomes Arick andDark Fact becomes Malificus. 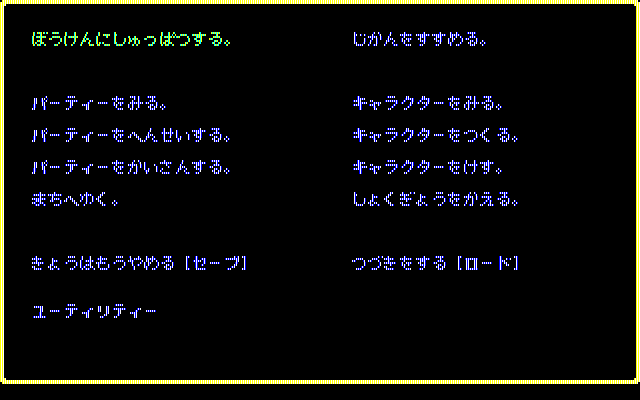 Broderbund's second Japanese PC game did improve slightly in the presentation from the first. Wibarm was originally developed by Arsys Software. While the graphics options and resolutions have not changed, this port at least supports Tandy 3-voice music. Fortunately the music is rather good, with nice use of noise channel percussion. 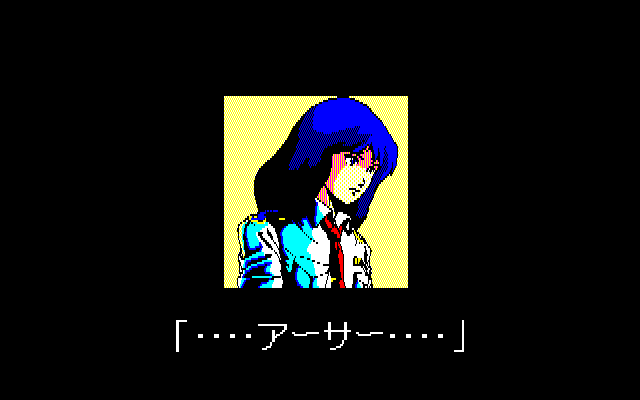 It is not the same music as in the PC-8801 version. There is not a lot of music in Wibarm, so what is there becomes repetitive. Document based copy protection is used. 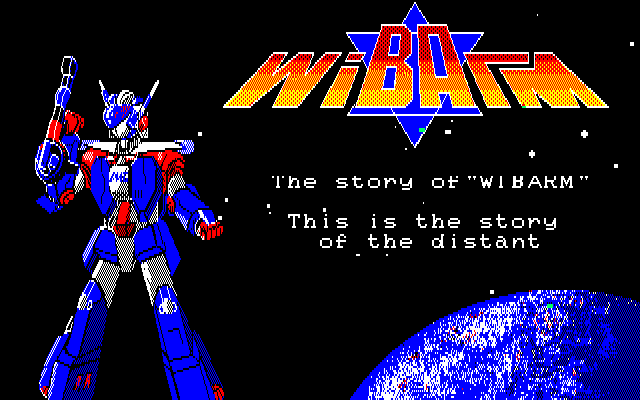 Unfortunately, Wibarm is an unfairly obscure game. I do not believe there is a FAQ or even a full English copy of the manual available. The similarities to Thexder are obvious, but the game uses a hub-like world, first person perspectives inside building, and an odd battle screen that you might fight any enemy you touch. Unfortunately figuring out which enemies you can defeat and whether you can spare the energy is a trial and error process. It obviously was and not a great seller for Broderbund, who obviously put little marketing behind the title. Considering how close it is to Thexder, which was a big seller, this is surprising. Wibarm is also a small nightmare to get running on a PC without the original install disks and manual or reference card. It does not like being installed on a hard drive other than C: or with more than 50-60 subdirectories in the root of the drive. It needs both WIBARM and WIBARM.DAT as subdirectories in the root directory of the drive. 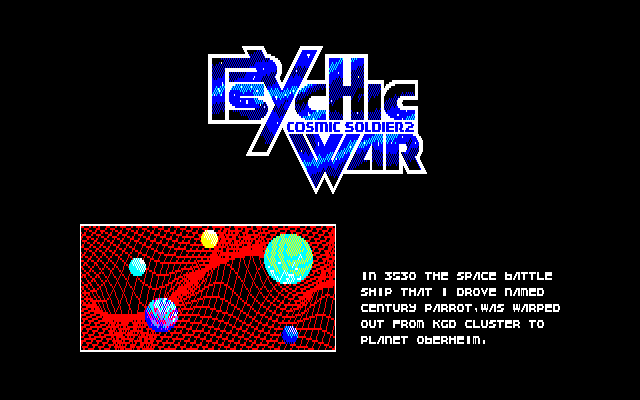 This game was known as Cosmic Soldier 2: Psychic War in Japan, and as its name implies, it is a sequel to Cosmic Soldier, both originally developed by Kogado. The game, like Ys, was brought over from Japan by Kyodai Software Marketing, Inc., a joint venture of Japanese computer game developers created to introduce their games to the West. Broderbund handled the distribution. This game supports CGA, Hercules and Tandy/EGA, PC Speaker, Tandy and Ad Lib sound. One can see the gradual improvement in sound support from Broderbund distributed products, but no high resolution support. Nothing in terms of sound effects, but the original game was rather sparse. The Tandy and Ad Lib music is surprisingly decent. This is an futuristic RPG with a first person perspective like Wizardry and the Gold Box games. You start as a single character with a female cyborg that acts like a guide. Along the way, you can encounter enemies and sometimes you can bring them to the point of defeat, where they will offer to join your party. You can have a maximum of four party members. Attacking is done by a mental beam, and it like you and your opponent push beams against each other and whoever's beam touches will cause damage. Koei released innumerable historical strategy games in the Romance of the Three Kingdoms and Nobunaga's Ambition series, as well as other strategy games detailing other time periods like Napoleon and Liberty or Death as well as fantasy settings in Gemfire. While Koei is must better known for Dynasty Warriors today, in the 1980s and early 1990s it was solely known for its strategy games. They were among the most detailed for their time and more than just simple wargames. You had to manage provinces, supply armies, recruit generals, employ spies and assassins, conduct diplomacy, set tax rates as well as wage war in Koei's turn-based strategy games. 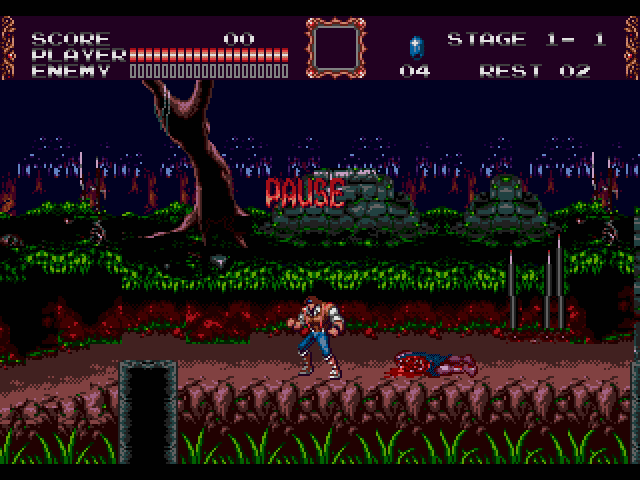 Koei released English-language versions of many of their games for the NES, SNES and Genesis. One might suppose that the slow pacing, intimidating interface and overwhelming number of options of most of their games would deter most people, but Koei kept on releasing games for consoles. 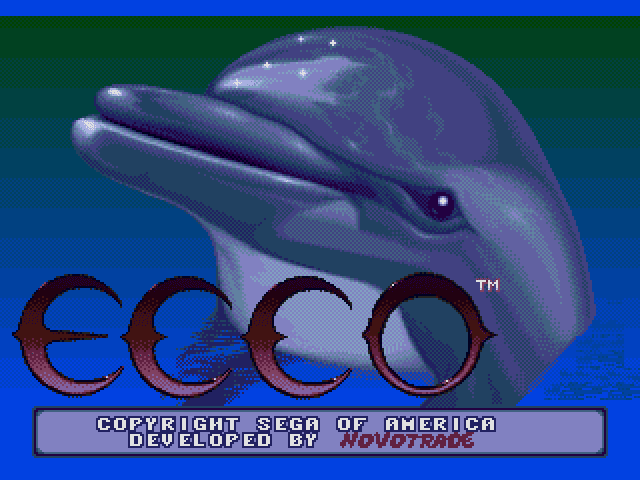 They also released sixteen of their games for DOS with full English translations. Apparently people kept buying them, so they kept porting them. Unfortunately, they have generally not aged well. Koei games are pretty bare-bones hardware-wise. All their earlier games support only 640x200x16 EGA graphics, although the earliest also support 640x200 CGA monochrome graphics (black and white). Its final releases use 640x480x16 VGA graphics and look very nice due to the large number of colors available for the palette. Sound support is usually just the PC speaker, although Adlib and Sound Blaster began to be supported in the 1990s. Mobygames has screenshots for all these games.